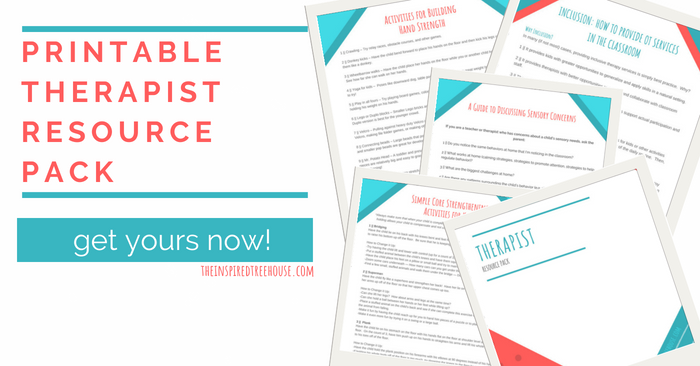 These printable resources for therapists are full of ideas, activities, and strategies to support you in your school-based practice and beyond! As therapists, we balance a lot. We facilitate treatment sessions while tracking and documenting progress. We form relationships with kids while keeping in good contact with their parents and caregivers. And we implement treatment techniques and strategies while passing along helpful tips and resources to parents and families. This means that we need easy-to-read information that we can quickly share with the teachers and families we come into contact with every day. 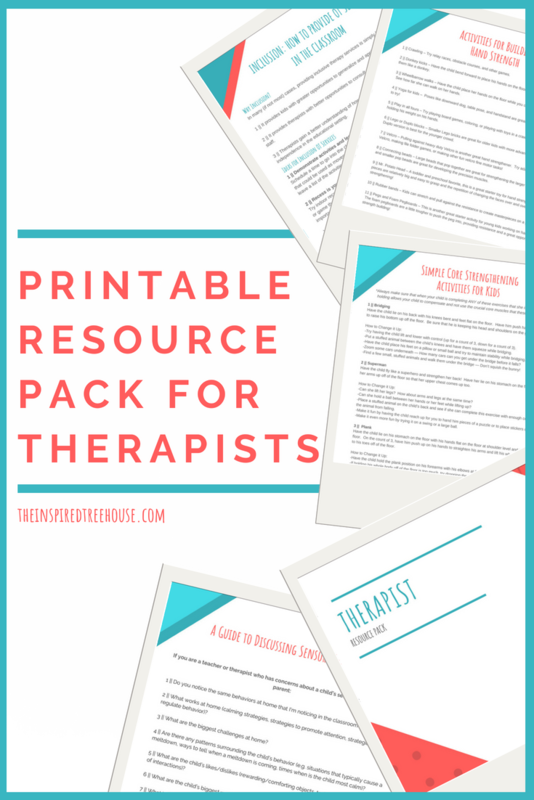 The printable resources for therapists in this pack are perfect resources to keep on hand to inform your therapy sessions or to share with others who work with and care for children. It includes ideas you can use in the classroom, at home, or in the therapy room!